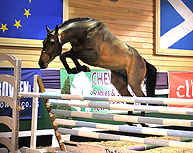 Tisza des Malais (Duchesse) is dam of the AES licenced stallion Ben Nevis. 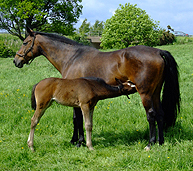 Tisza's sire Kouglof II is a son of the Selle Français sire Nankin. 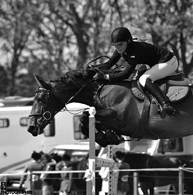 Nankin, a leading jumper sire in France, descends from `Sir Gallahad III. 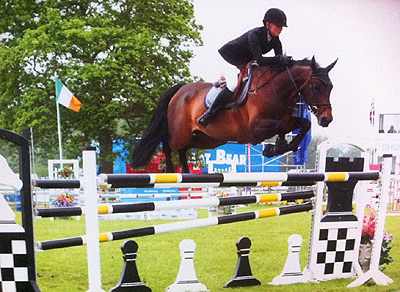 Nankin is the sire of Talisman D. The jumping champion of Germany, who won 140 international prizes in nine years, ridden by Paul Schockemohle. 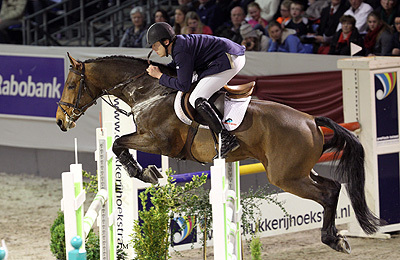 Nankin is also the sire of Uppercut, a successful international jumper for the Swiss rider Francis Racine. Nankin sired the dam of the jumper San Fernando, ridden by Frank Sloothaak to win the Pommery Cup in Copenhagen in 1979. San Fernando now stands at stud in Germany. San Fernando is by Arthy, who descends from Orange Peel, Ultimate, and Foudroyant II. 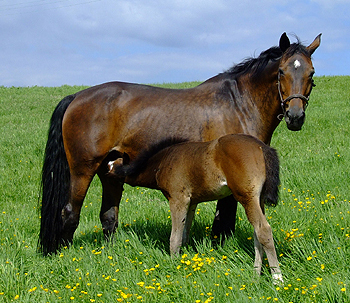 Nankin sired 34 graded stallions and 44 dams of stallions. The dam of Nankin is by Plein d'Espoirs, who is a son of Orange Peel. 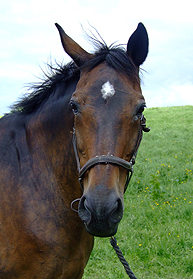 Tisza's dam Gueule d'Amour produced also Pavlova des Malais, dam of Flipper d'Elle (1993), a stallion (Nationaux Français) who very successfully jumps Grand Prix level (international). 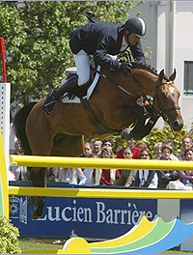 Competition Results of Flipper: a permanent fixture in the French Nations cup team with his rider Laurent Goffinet, in 2006 he won ten different International titles, including the Grand Prix of St Lô, the CSIO ***** of Gijon, the four star Grand Prix of Deauville and the four star Grand Prix of Bremen (Germany), he was also selected for the WEG in Aachen. In 2006 alone he won 81,000 euros. 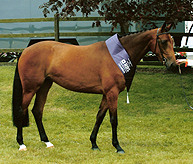 Flipper d'Elle has covered 1327 mares over 9 years. 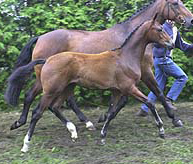 Tisza des Malaises offspring have excellent movement and very good jumping abilities. After having bred some fantastic offspring for us she is now retired from breeding and enjoying her pension.